To start with, I am hard pressed to think of a better-looking and sounding sports title, ever. The music is great, the voice announcers are familiar yet excellent and the visuals are great. For someone such as myself who watched a lot of basketball, most players are immediately identifiable at just a glance. I have mentioned in the past in other reviews that I think basketball is probably the most difficult sport to animate due to the way characters are not obscured by helmets and heavy padding and interact with one another up and down the court all of the time. 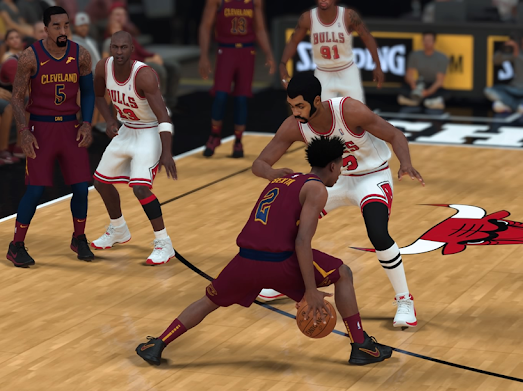 That true-to-life jostling is well-represented in NBA 2K19. Now in terms of the actual character interactions on the floor, there is a slowness to the play that makes NBA 2K19 a proper NBA simulation. The post game in particular has a great deal of nuance to it. For years my created character has been a centre or power forward, so I have really felt the game's evolution over that time. There is a certain weightiness to the post game, players pushing against one another, using strength, size and momentum to try and get off the best shot possible while the defender attempts to stop them. I still get to experience this system with my favourite team, the Detroit Pistons. They have one of the best centre / power forward tandems in the game, so I spend a lot of time in my franchise mode in the paint. 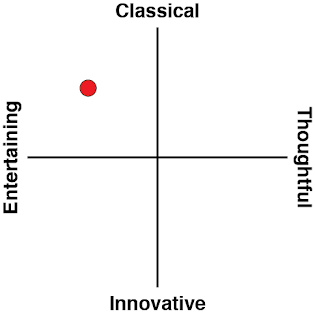 This year I went with a dramatically different approach: three pointing shooting guard. Wow is that a different experience, which after four years of playing the big guys predominantly, it was perhaps the biggest surprise in the whole package. All the little nuances are there: the shot meter, positioning around the perimeter and a hint of craftiness when breaking out pump fakes. I have had a lot of fun calling for the screens instead of setting them, though I do think there are times when the pace of play could be just a smidgeon faster. This is most apparent in the fastbreak game, when players have a tendency to fill lanes poorly and defenders who probably have no idea where the ball is at spin around and turbo back on defence to fill the lane. Still, these are very minor points in an otherwise incredibly polished gameplay experience. It is interesting to see that the franchise mode has taken on a bit more of a life of its own compared to a few years ago as well. The MyGM mode still tells a bit of a story as you attempt to guide the team you are in charge of to incredible NBA heights. For those who like management and simulation, this is still a great mode to play. There are elements of strategy in how you handle business between games, and then you still have to play the games themselves with the team you are constructing. 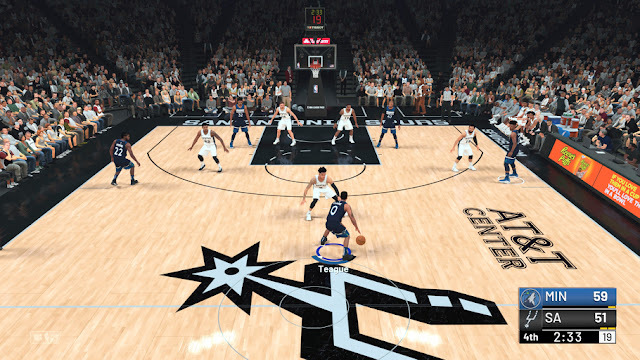 Given that you are against the computer, the MyGM mode is one of NBA 2K19's more shielded from Virtual Currency (VC). Certainly, having it can accelerate your team's progress, but it doesn't feel at all necessary,. I can grind through a season, earning VC at a rate that feels natural while developing my team. There is also a league mode that does away with the story and focuses more on just the running of the team and playing of games. This works great if you want to play online with a friend or three, just like we always used to do in high school and college with these types of sports titles. There is the usual card/ fantasy sports mode (similar to EA's Ultimate Teams), and it works fine here. You get players, you complete daily tasks, you earn currency for opening packs of cards... I just do not enjoy it as much in NBA titles as I do in NFL ones - probably because of how much smaller the teams are in the NBA. There is nothing functionally wrong with this mode, it just happens to be my least favourite and has that hanging microtransaction feeling that looms over everything. 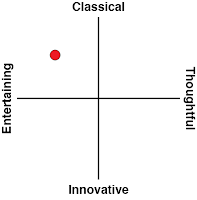 It is probably one of the two spots where that feeling is the most prevalent. If you are focused on the league or MyGM mode, it is pretty easy to overlook the VC / microtransaction situation. It is much harder to ignore in my favourite mode, MyCareer. I have an interesting love / hate relationship with this mode, because it is everything I love and the things I strongly dislike about this series rolled into one. The character creation process is better and more intuitive than ever. Changing your height, tweaking your arm length and choosing your archetypes really helps to create a distinctive flavour for your character, and the menus do a better job than ever at explaining what the finished product will look like. That is far and away better than it was years ago when it was largely a guessing game on day one. Then the game moves into its introductory chapter, which is a large, interactive story. Granted, the interactive parts are pretty superficial - sort of like a Telltales title that gives you two options, but you wind up at the same basic place as the events / dialogue leading up to it vary slightly. Still, it let me put a bit of a more distinctive stamp on my player, A.I. One quick, minor quibble: I get that for reasons of voice acting this out, they need to assign a default name to the character, and some of the ones over the last few years have fared better than others, but I will never understand why they gave the character A.I. - which happens to be the nickname for one of the most distinctive players in NBA history. Weird decision there. Anyway, moving on - the introductory chapter is pretty interesting. I actually did not like my own character for the most part. He was rash, rude and... slowly over time, grew as a person and become imminently more interesting by the conclusion of the story. The end of the chapter was more than a bit far-fetched (it would never actually happen), but it works well enough all the same. It helps that your character starts off in the Chinese league, and the announcers are... speaking Chinese. Then when your player is in a different league, you once again get to hear completely different announcers. It is a small detail, but it was kind of a nice touch rather than having the TNT guys that usually do the announcing show up to announce a game they would never normally be at. 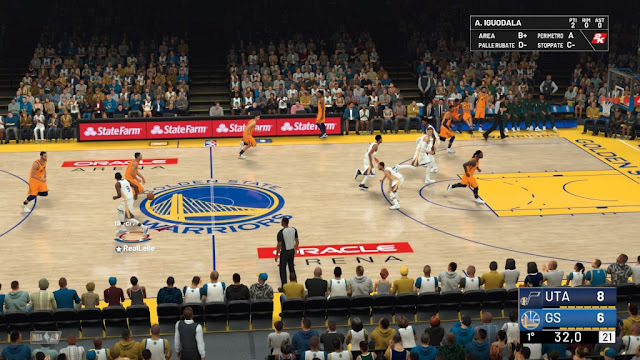 The fact that there is narrative as well as player skill progression baked into tons of small hooks, cutscenes and team interactions has always made MyCareer a blast for me to play, and NBA 2K19 is no different on that front. I also appreciate that the neighbourhood (which serves as a sort of walking hub in this mode) is faster to traverse with good menu shortcuts (for those not looking to hoof it around the rather expansive hub) made these nice quality of life improvements. You have the usual shops from a tattoo parlour to a Foot Locker and more ways to spend your valuable VC. In fact, NBA 2K19 makes it really, really easy to spend oodles of VC in this mode (including making it required for character progression). Thankfully, it feels as though VC is easier to earn than last year (which was way, way too slow and grindy), but it is still so pervasive that I cannot help but get a bit irked at $60 AAA titles holding their hands out for another $30 not even for extra content, but to help accelerate player progression. If you do not do it, everything can still be attained, but slower. If you are sticking just to the career mode against computer controlled teams? It is slow, but not a big deal. However, when you choose to play online multiplayer, you are at a huge disadvantage. Day one I was walking around a 62 overall seeing guys in the high 80's already. It just gives of a very 'pay to win' odour befitting of such a great overall game. This is why what you play probably impacts your feelings about the VC. If all you want to play is MyCareer and crack packs of cards in MyTeam? The VC squeeze is real. Heck, some players would probably be content just playing MyCareer mode without other people online at all, and just using something like experience points to improve their player (instead of the hybrid experience / VC method now). The problem is, this mode is currently baked into the most competitive online modes (again, giving this whole thing that pay to win vibe). It is a genuine shame that so many games are essentially looking for a double dip on money these days, but at least when it is new content I feel like I am getting more bang for the buck, and when it is cosmetic it doesn't change the balance of gameplay, I can choose to ignore it. However, VC hits that annoying sweet spot where it impacts the actual gameplay experience and while it is mercifully easier than ever to acquire, it is still an unsavoury practice. 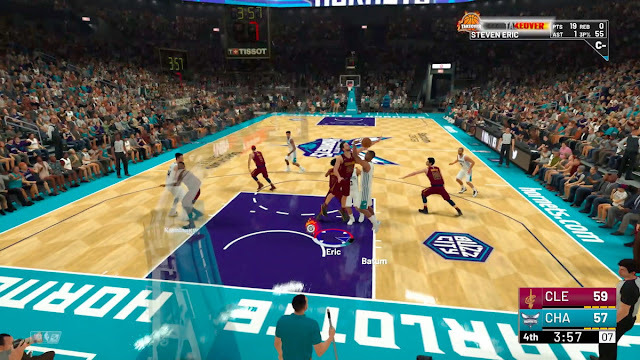 The world class presentation, excellent execution of modes and gameplay mechanics really do make NBA 2K19 the best sports game around. It is also clear that big investments were made by the development team to improve the engine. Loading has been a slow, annoying issue for years and to NBA 2K19's credit, this is probably the fastest it has loaded in memory. It is nice to be able to jump into the action so much more quickly No other franchise manages to hit on so many things I love such as developing a player and telling interesting stories in a sports game the way 2K does. I can overlook the VC concerns, but others might not and that is why I have to call them out. However, if your primary focus is a great game of basketball, with nuanced controls, excellent commentary and best-in-class visuals - NBA 2K19 is the best game in town.